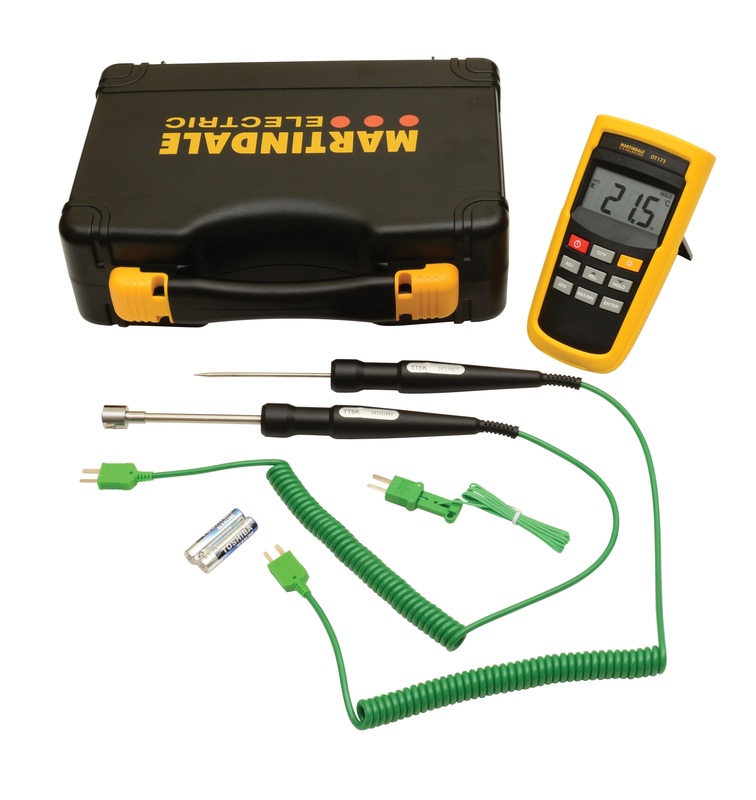 The Martindale ThermokitLGN includes the DT173 Thermometer with max function and two thermocouple probes in a hard carry case. The kit can be used for temperature testing and monitoring in accordance with Health & Safety Guidelines to avoid water temperature and conditions that can favour the growth of Legionella and other bacteria. The surface and immersion probes simplify measurement on pipework and tanks. The DT173 comes with a protective rubberised holster and is switchable between °C and °F and between 1° and 0.1° resolution. Hold and maximum buttons allow the current value to be frozen or the maximum reading to be stored. The Thermokit comes complete with the DT173 thermometer, 1 x TT1P bead thermocouple, 1 x TT6K penetration probe and 1 x TT8 surface probe with spring loaded sensing tip in a professional carry case.